PORTOLA HILLS LIVING by Kelly Turbeville: Portola Hills Rents increase 7% in 2015. As a Realtor in Portola Hills, I believe it is important to understand the complete real estate market. I work with many investor owners in the area who have been long term landlords as well new investors who are looking to expand their real estate portfolio. In addition, tenant's who have become future homeowners. When I work with any client, my goal is to always understand their long term vision. Often times, rentals are an aspect of the business many agents do not like to handle. I view Rentals much differently. If I want to be your trusted Realtor for life, then that means I handle the majority of your real estate needs, even the ones that "seem to be a lot of work" Otherwise.. how can I truly be your Real Estate Adviser. If you research, you don't read much on the rental market in various neighborhoods. 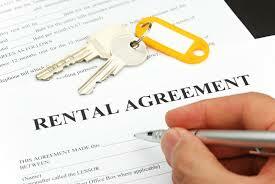 So starting this month... we will begin writing a rental spotlight of the areas we focus in, i.e. Portola Hills, Foothill Ranch, Trabuco Canyon, Mission Viejo, i.e. the Saddleback Valley. Currently there over 250 rental properties in Portola Hills, which equals just over 10% of the residences. In 2015, there were 47 properties rented in Portola Hills. That equals a 20% increase in rental volume from 2014. The median price per square foot in 2014 was $1.69 in 2015 rental prices jumped 7% with an average price per square foot of $1.82. Below is a look at three categories of rentals. Traditional Single Family Homes, Townhomes and Condominiums. Single Family Homes. Tenants paid an average rent of $3201 for a 4 bedroom, 3 bath, 2100 square foot home in Portola Hills in 2015. Townhomes: Tenants paid an average rent of $2368 for a 3 Bedroom, 3 Bath, 1350 square foot home in Portola Hills in 2015. Condominiums: Tenants paid an average rent of $2017 for a 2 Bedroom, 2 Bath, 1000 square foot home in Portola Hills in 2015. If you are looking to move to the area and rent a home, please give us a call, we are happy to review with you what is available in the area, keep you advised of new rentals available and help you secure your next home. As well, if you are an homeowner and looking to rent your home, or find a tenant for your rental, let's review your needs and our strength in finding you a great tenant! Give Realtor Kelly Turbeville a call.